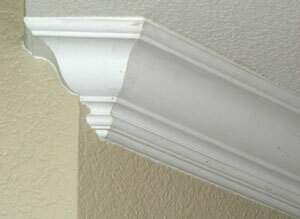 hen people are considering installing crown moulding in a room, one of the first problems they face are issues such as different ceiling heights, endings, angles, vents, hallways, stairwells and other changes in the wall surface. The good news is that these "problems" actually become beautiful little designs of their own through the use of returns and caps. 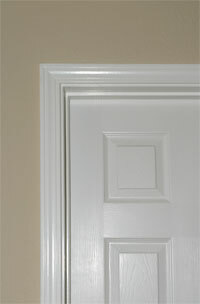 Example: in the photo above, for example the moulding ends at a corner as the hall way enters a room. 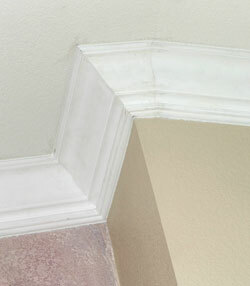 The return, which is just a slice of moulding, creates a graceful shape that gives a finished look that allows the moulding to look as if it were done intentionally, rather than because the owner did not want to continue the crown around the corner. 1. 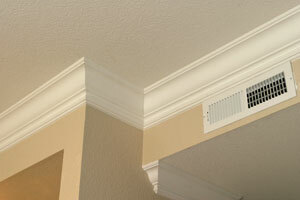 The first phase is the unpainted area with a beige color on the wall and new moulding installed. 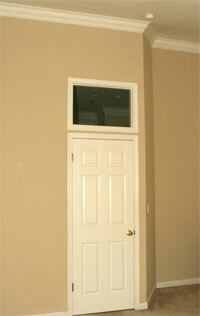 At a later date we will return to photograph this room to show you the effect of the new wall color. 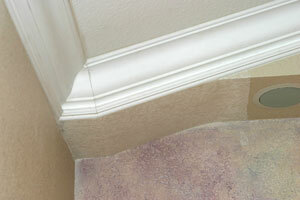 In this section you will see a variety of carpentry techniques to solve a variety of issues in the wall surfaces. 2. 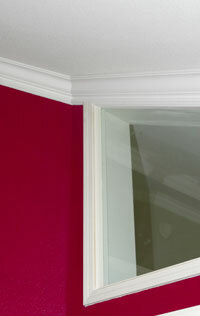 The second phase is a room with the painting done, in a cranberry color, that gives maximum contrast to the moulding. Scroll down for photos and discussion of this installation. Here is a section where the wall surface is uneven, requiring the carpenter to create a slice, something like a bull nose, to accomodate the bulge in the wall surface. 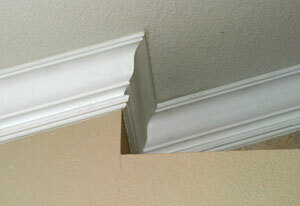 Shims were also used in sections of the moulding to help fit it tight to the uneven wall surface. 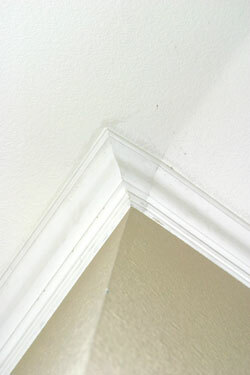 Here is a shallow alcove which provides a good example of turning a negative into a positive. The moulding actually shows its beautiful profile catching the light at the point where it turns, giving this problem area a very pleasing outcome. Please feel free to ask our expert staff any questions about issues you may have in your project. The master bedroom has a built in speaker concealed in the alcove above the bed. 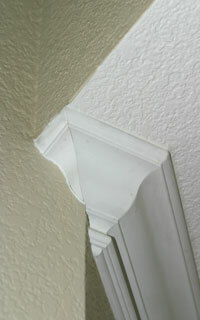 Initially the owner was concerned the moulding would not work in this area, but was very satisfied with this solution. 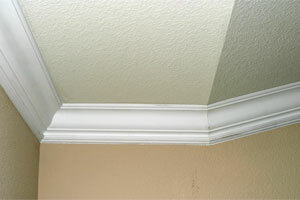 Uneven ceiling angles are not really a problem, the moulding looks very well despite changes in angle. Here is another return, note in this version the return actually wraps around to the surface of the corner. See different photo of same turn below. 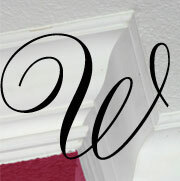 Returns give the moulding the opportunity to show its profile. The pie slice cut shows the profile left and right with an additional smaller slice completing the turn. Owners frequently are delighted by these returns and tell us they are favorite parts of the job! 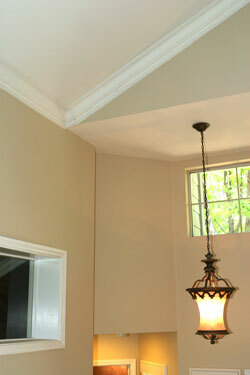 Wall corner and pitched ceiling - no problem! 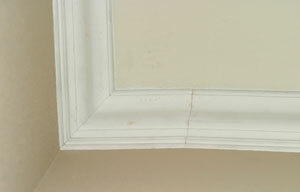 The moulding had to be adjusted to an irregularity of the wall surface. 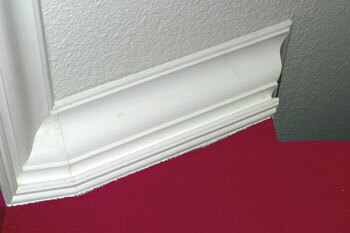 Note the back of the moulding can be shaped to accomodate irregular wall surfaces also. Looking at the room the owner had to be convinced the moulding would look good despite these irregularities, but was very pleased with the outcome. Once it is painted this area will not be noticeable. 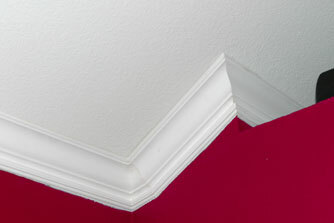 Entry hall features steep celing angle. 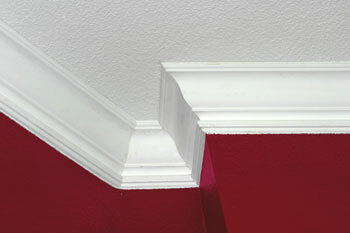 This room has a cranberry wall color, providing optimal contrast to set off the new moulding. MM 1440 casing and crown installed...another area the owner was worried about but was very happy with the end result. Small alcove and irregular wall angles.